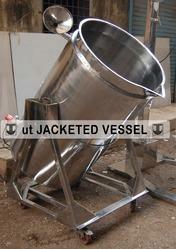 Clients can avail from us quality assured range of Steam Jacketed Tanks. 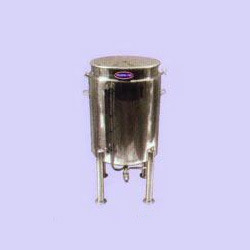 Manufactured from exceptional quality Stainless Steel, these High Pressure Jacketed Tanks are used in various industrial applications in the field of pharmaceutical industry, dairy sector, chemical industry, food industry and distillery and brewery industry. They are very durable and user friendly in nature. Professionals work in close coordination to make these Jacketed Storage Tank in different sizes. Jacket Agitated Tank has jacket enclosure over the actual vessel i.e. the inner shell where reaction takes place. Such design is provided maintain certain temp throughout the process. It provides uniform circulation and minimizes stagnation of heating or cooling medium. Backed by a rich industrial experience, we are engaged in offering a commendable array of SS Jacketed Tank. We are successfully meeting the varied requirements of our clients by providing the best quality range of Jacketed Storage Tank. Having a definite quality management system, we are readily engrossed in bringing forth a comprehensive gamut of Jacketed Agitated Tank.